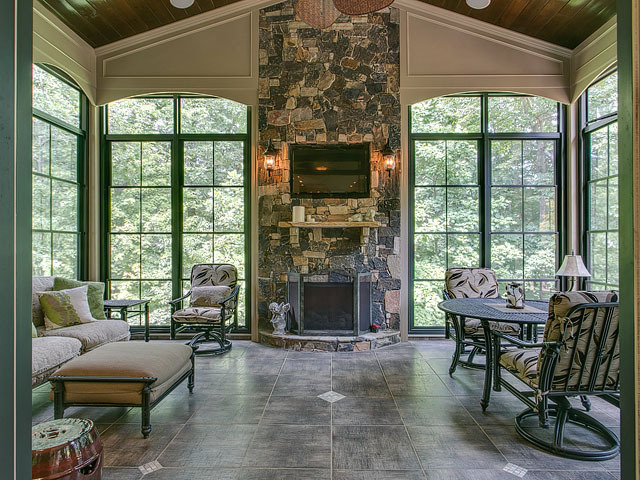 Linville is a private, luxury, gated community in North Raleigh with some of the Raleigh’s most exclusive estate homes. 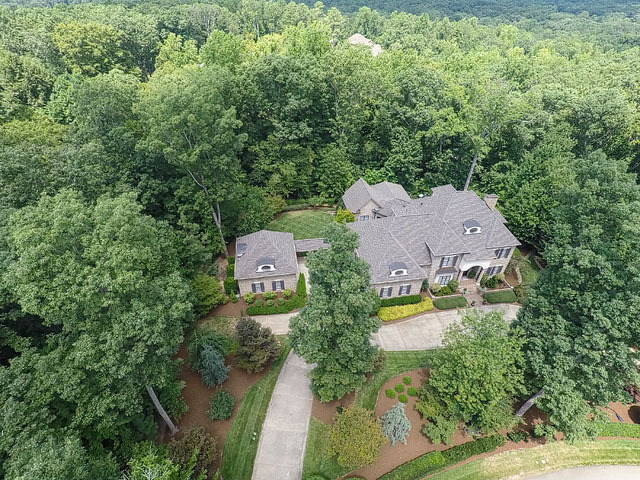 The subdivision was built in 2004 and Linville homes are stately custom manors on multiple acres with mature trees and natural buffers and creeks. Today’s home is being sold by the original owners and sits in the gated subdivision on 3 plus acres. The home is private and secure with a wooded buffer on 3 sides. The gated double driveway entry has a double width for overflow parking as well as an oversized main garage and heated and cooled extra garage with half bath offering room for more than five cars plus storage. 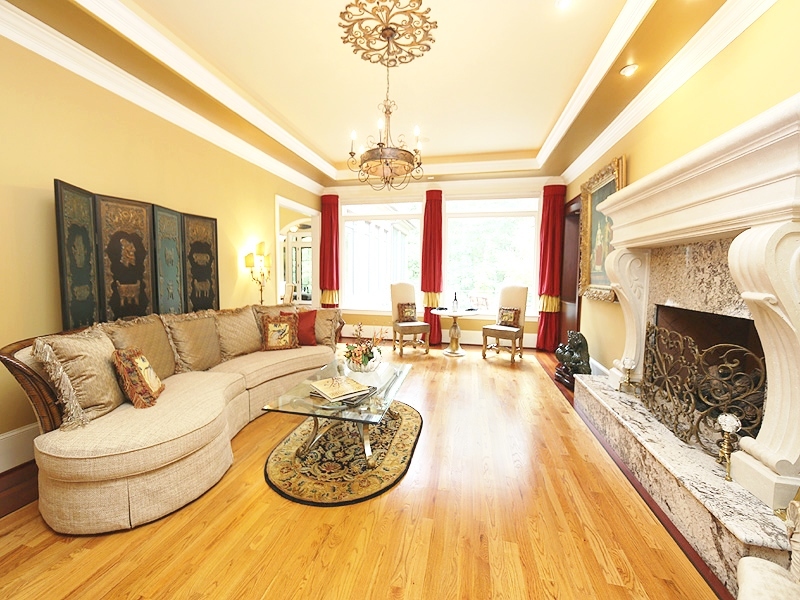 The French inspired brick home has over 4300 square foot on main floor and 11 foot ceilings. It has two story foyer and a vaulted ceiling in the sun room on the main floor. There are a total of four fireplaces on main floor and rooms feature hardwood floors and large windows. 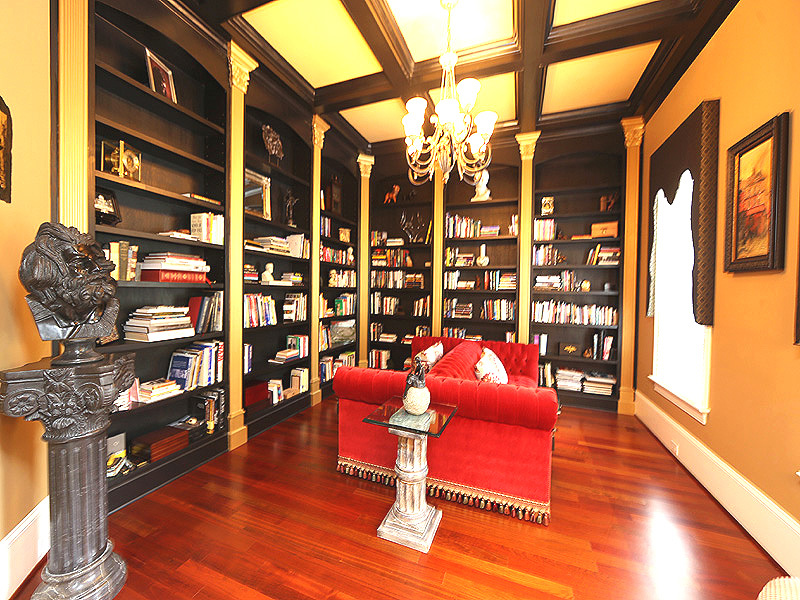 The home has custom trim work, arch doorways and transoms. Outside there is a Timbertech rear deck with custom railing and a private courtyard off the breakfast room with access to gorgeous landscaped yard. A huge theater seats twelve and there is also a third floor bonus suite with full bath and kitchenette that can be used as a nanny, in-law or teen suite. This home is listed with Fonville Morisey Realty for $1.895 million and is showcased by Luxury Portfolio.